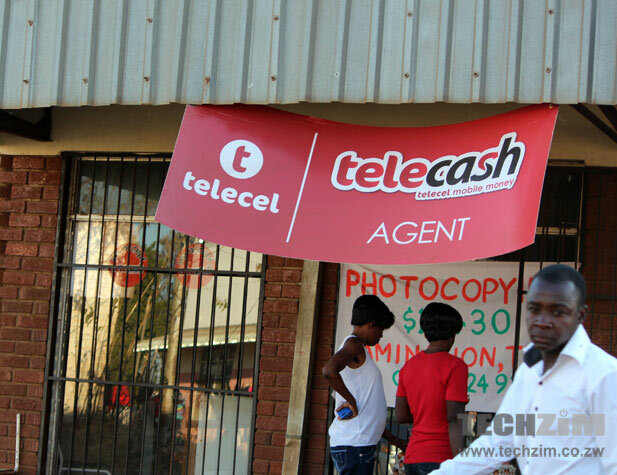 2014 wasn’t a good year for Telecel Zimbabwe. It will go down in history as the year of the decline. It started with the losing 111,000 subscribers in the first quarter. And then in the second quarter customer churn rate increased, this time they lost 130,000 subscribers – we did a detailed report on that here. Asked what their plan was then, they told us they would focus on the high spenders, effectively ditching the frugal spender they’d focused on the past years. The focus on high spenders may almost be a stirring into what will be the right direction, but whatever that right direction is, as the 3rd quarter results showed, is still not found. Telecel lost some 105,000 subscribers in Q3. Effectively, they started the year with 2,57 million subscribers and by the end of third quarter had lost 346,000 of them. The reason why we say the focus on the high spender is not really working is that the company’s average revenue per user (ARPU) remained flat at US $4 in those 9 months. This means the company was making way less in September 2014 than it was in December 2013. The results for December 2014 quarter are not yet out, but there’s no reason to believe they’re any better than the quarters before it. Nothing dramatic happened in product offering to suggest any dramatic change in revenue. As we said before, some of the reasons are beyond Telecel’s control. The flat $4 ARPU may actually suggest they are able to maintain revenues (per user at least) while the economy continues to decline and people spend less. We’ll have more when we talk to the people at Telecel about their plans for 2015. They were/are their worst enemy. They reported that their part of the business (goodness knows which part i.e. was it Zim or some other African country) had been bought by a competitor. There wan’t much clarity on the future of the brand. Clients fly off under these circumstances. They cancelled my line after a month of inactivity. The line is even registered on telecash so I donno how they would have worked it out if i was receiving money. That’s all fair and fine though, but then when I go there they tell me I have to pay to activate again??? MANJE NDEZVAVO – they can keep their network. The issue with Telecel is they ignore social media comments. When customers say we want more speed on broadband etc. they are not joking. Where a line costs five rand a customer will easily jump ship. Also how sure are you that all networks are reporting correct figures.? I have a line from 2010 that I check up on from time to time and econet says you just need to come and activate but its still your number. I wont beat a dead horse because I have mentioned it several times. That said i was impressed with the online line registration where you scan an id and proof of res and email it to them and hey presto line is registered. Now I am a tech junkie so not everyone will want this but for me been in a remote area and registering a line for an emergency this was a helpful gimick. Thats about the only good I will say about them. Please note however, upon checking the numbers you supplied, 0772XXXXXX is not registered in your name and you are therefore unable to replace it unless you change line ownership. The remaining lines are registered in your name though currently inactive due to none use but can still be reactivated after replacement. Please note that lines not properly registered by the 13th of July 2014 will be deactivated from the network. guys you to remember that its telecel we are talking about. Telecel have uncertainty cloud revolving around the enterprise beside the network is to much of problem than other networks. When was the last time Telecel reported network expansion or equipment upgrade projects? I think it skipped me if they did. Management issues are very critical in any business. Telecel has been running a loss with the long lived and demonic Mega Juice promotion. How can you try to win over subscribers by offering such promotions and lower tariffs whereas your competitor is already beating you on economies of scale? They have lost on profitability and hence cant expand or offer better quality resulting in the loss of the customers that cross over to their cheaper tariffs but end up getting frustrated. Its like trying to fill up a bucket with holes on the base.Telecel should start focusing on real business, building their way up and stop trying to out compete EWZ. Rather be small and profitable, than huge and leading in losses. I have problems with Telecel not listening to client feedback. The high spender clientele element will cost them dearly because those spenders will only gravitate towards good service and Telecel at present ain’t it. Secondly this seemingly rejection of some regions with turnover potential is a great shot on the foot. Show me are border town where Telecel is big considering traffic flows and trade volumes and I will show you a mirage…. Telecel iri patight. Mirai muone. There are serious related problems at Telecel. One: the unresolved issue of indegenisation compliance which makes it impossible for long investment decisions to be made. Two: lack of adequate investment well below the minimum expected in telecoms. Three: too many executive coming in and leaving soon after what is called “revolving doors at executive level” compounded by loss of skills in past 12 months. Four: lack of leadeship with clear direction of what has to be done. Vari patight just watch. Rumour has it that Telecel are struggling even with payment of salaries. Have you heard? I had thought that by now the new MD, Mr Patrick Zhuwao, would have done a good job of cleaning up the mess at the company since he took over from the previous MD, was it a Canadian?, but like @Mr. Truth says, company iyi iripashinyazi, what with the outstanding renewal fees. I have 2 sim cards , one for Econet and one for Telecel and I am really surprised people are complaining of poor Telecel services yet I am seeing its actually better that Econet. For you own information I travel between Mutare, Chiredzi, Chipinge and Mwenezi and in all those towns Econet is almost unusable! I dnt know when was the last time I used Ecocash if I can send money easily for free with Telecash! Whenever a company is heading towards Niagara Falls. Quickly investigate the company’s strategic firepower, marketing capability, leadership. These are the three success cobras; the rest are peripherals. it not surprising actually they deserve it. I used to have two sim cards telecel and econet . in november 2013 my phone was stolen when trying to board a kombi. i picked up my phone with a telecel line to call my other number. To my surprise it said your airtime have expired juice up, despite the fact that there was a balance of 73 cents still remaining from a $5 recharge six days earlier. I had to buy $1 airtime to activate 73 cents . By the time i finished recharging the kombi had already left, people who where there had gone to other kombis and my blackberry had gone. It pains me to date. From that day I hate telecel with passion. nyagwe zvikanzi telecel yaita promotion yakaita sei it will never bring back my blackberry. Never ever again will I have a telecel line in my life . How can 73 US cents expire, how can a$5 recharge expire within a week . those money hungry people at telecel actually helped in the disappearance of my blackberry i will never forgive them . Never never never never ever . itai henyu zveTelecel zvacho not me, puuu , handiite.